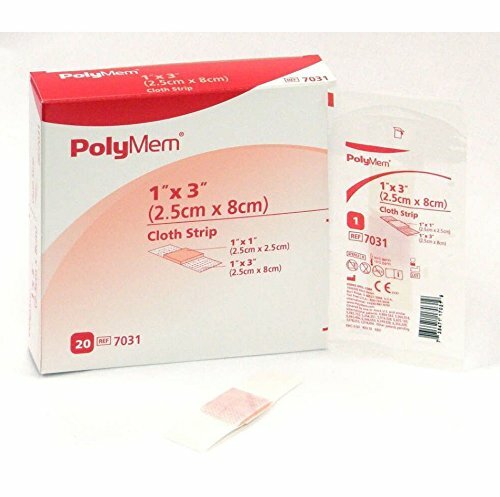 PolyMem Cloth Wound Dressing Strips, Adhesive, 1" x 3"
Ultra-thin, adhesive-coated urethane film that provides a breathable yet tough, protective, waterproof dressing. It does not require tape or secondary dressing. Effectively cleanses, fills, absorbs, and moistens wounds throughout the healing process. 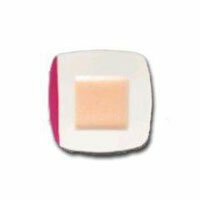 Contains a mild, non-toxic cleansing agent activated by moisture that is gradually released into the wound bed. 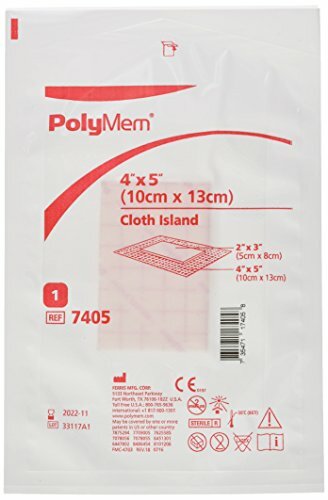 Ferris PolyMem Adhesive Island Cloth Dressing (6x6"") (Box of 15)""
The PolyMem Island Cloth dressings offer all the benefits of PolyMem technology with a breathable, adhesive-coated cloth backing that is ideal for resolving skin tears. 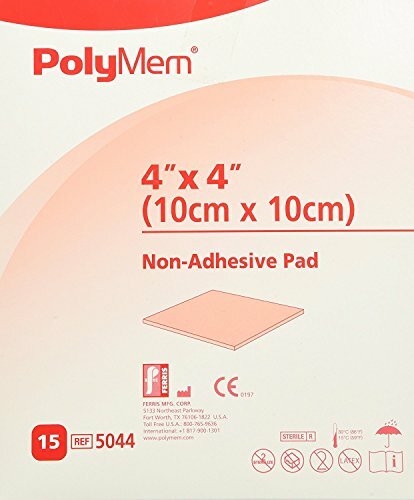 This PolyMem Island Dressing has an overall size: 6" x 6" (15cm x 15cm) and a pad size of 3.5" x 3.5" (9cm x 9cm). 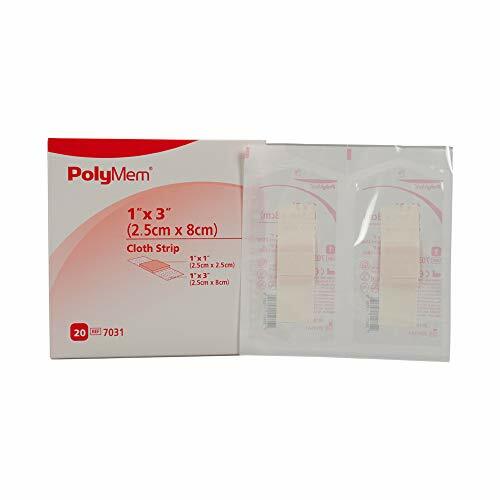 PolyMem has been successfully used in the healthcare setting for many years. 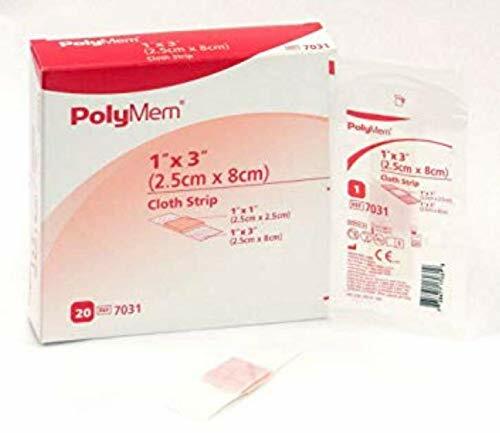 No other single wound dressing combines four key wound-healing capabilities like PolyMem, known worldwide as "The Pink Dressing." 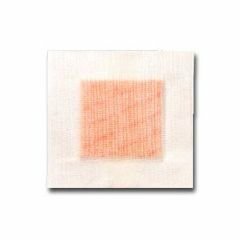 PolyMem provides a warm, moist, healing environment that promotes formation of granulation tissue and reepithelialization... and much more. 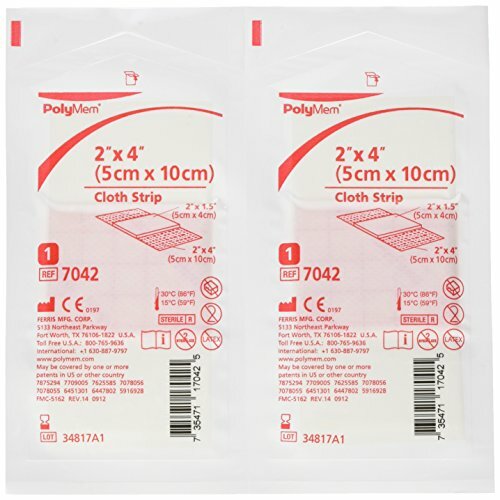 PolyMem Dressings protect the wound as they facilitate the body's natural healing process. 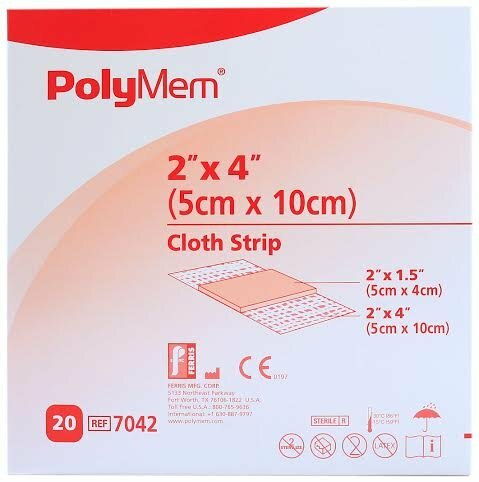 PolyMem is latex free. Box of 15. 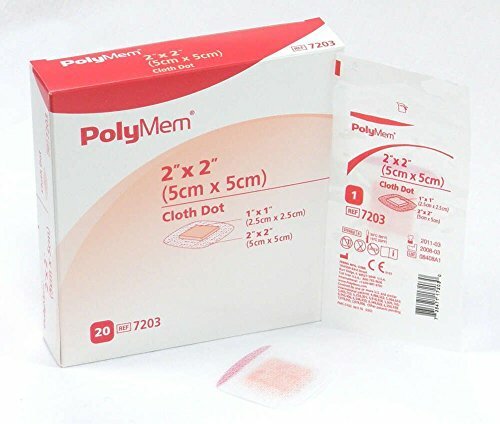 PolyMem Cloth Wound Dressing Pad, Non-Adhesive, 4" x 4"
How PolyMem Wound Dressing Works?